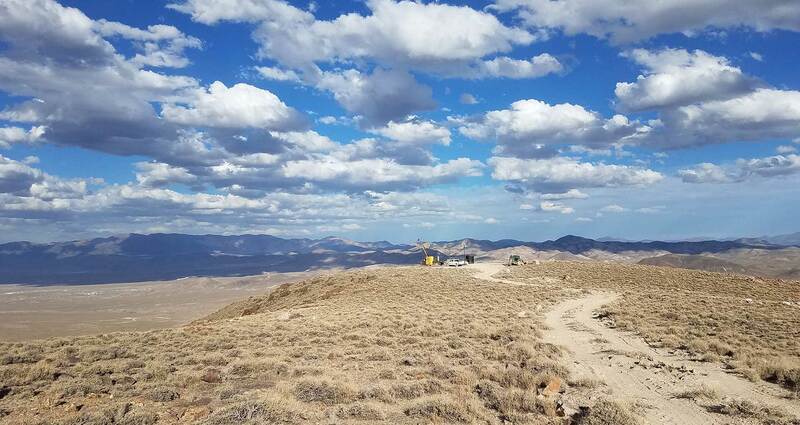 Las Vegas, NV - Patriot Gold Corp. (PGOL:OTC) or ("Patriot Gold"), a developing gold and silver exploration and production company, today announced that a significant new drilling program has commenced at its Bruner gold project located in Nye County, Nevada. Drilling program will consist of approximately 1000 meters (3,280 feet) of core drilling and 9,000 meters (29,500 feet) of reverse circulation (RC) drilling. Initial drilling will start in the feeder zone of the historic resource area, near RC hole B-1340, which showed significant gold mineralization levels between 260-450 feet in depth when tested at the end of 2013. The plan calls for a total of 53 core and RC holes drilled in both the historic resource and Penelas East discovery areas in 2014. "Initial drilling and cyanidation results from 2013 samples have increased our confidence in the potential for the Bruner site," said Bob Coale, CEO of Patriot Gold. "We are excited to have drilling recommence on this project and look forward to making additional progress in 2014 toward establishing a mineral resource estimate. Combined with the continued progress we are seeing with Patriot Gold's Moss Mine in Arizona, we continue to gain confidence in our ability to deliver extraordinary value to our shareholders." Core drilling in the historic resource area will start with an offset of RC hole B-1340, which tested at 93%-97% gold extraction levels after bottle roll cyanidation tests on hole composites were performed in early 2014. A total of 5 core holes and 24 RC holes are planned to test this high-grade feeder zone. Drilling at the Penelas East discovery area will focus on testing the prominent VLF-EM current density and concident gold-in-soil anomalies. A total of 24 holes are planned in the Penelas East discovery area, which will expand the total number of holes drilled in this area to 62.